With plenty of momentum behind their push in the boot market, Puma has added a new edition to their speed family in the form of the evoSPEED 1.3. 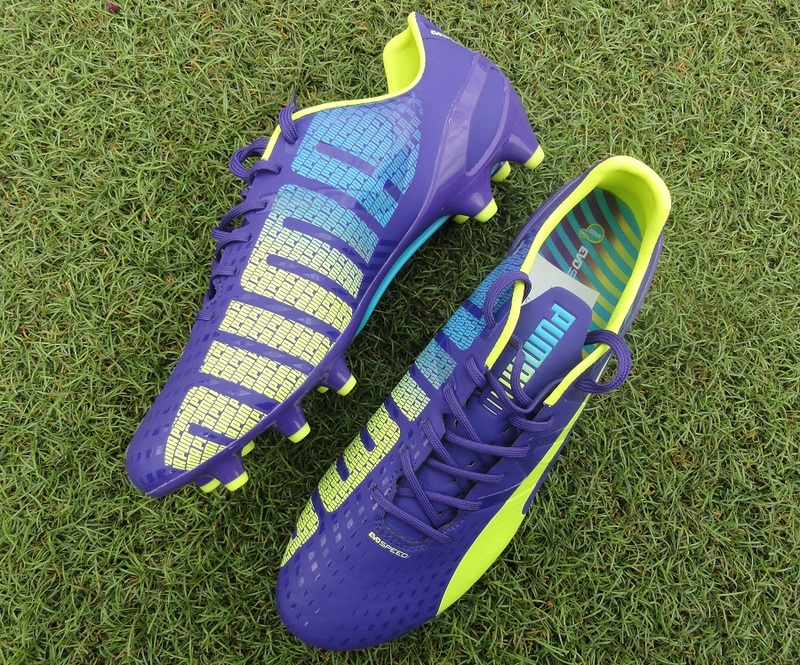 Given the growth and popularity of the lightweight range, there is added pressure for Puma to deliver a legit, top of the market contender. Again, plenty of time has been spent developing this latest version with players like Sergio Aguero, Radamel Falcao and Olivier Giroud offering input on the final product. With the original release in the range getting a 5-star rating from us, and the second version a 4-star, what has this third lightweight, 7oz, speed boot got on offer and how do they compare to the market? There are some heavy expectations with this one! Find the evoSPEED 1.3 currently listed at soccer.com. 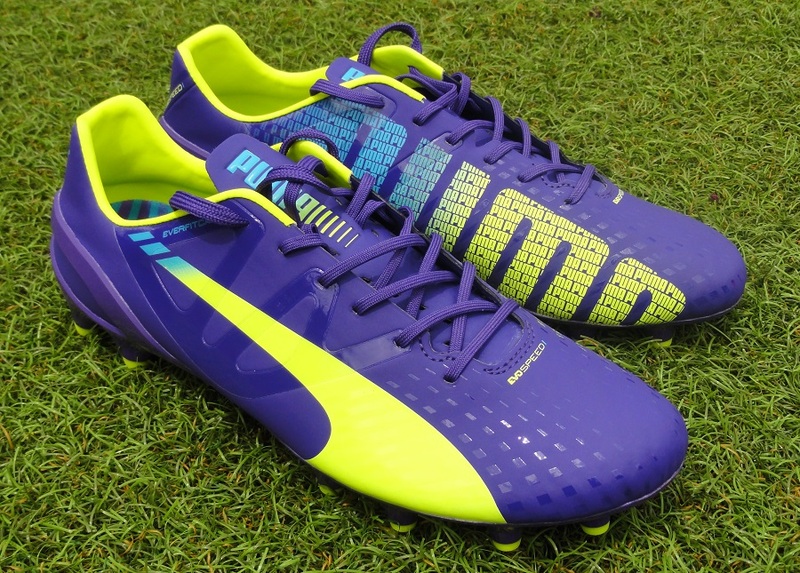 The colorway is bold, the external EverFit cage is bolder and the large lateral PUMA hit is boldest! The synthetic upper along the forefoot has a light pattern print, but it doesn’t have any control benefits to it. Underneath, the SpeedTrack soleplate remains unchanged. As you will read in the How do they Fit? section below, these boots fit pretty narrow and that can prove problematic for players needing a larger fit. In my experience, it did cause some slight initial discomfort. We have all become familiar with Puma boots fitting slightly tighter than other ranges so for some of you it is standard practice to expect that. The primary issue I encountered was pressure along the outer portion of the boots, along my little toe, and also through the heel. For narrow fitting players, they will serve as an absolute dream. Wider fitting players should be exploring a half size up to get a more suitable fit. Some positive about the boot include the padded lining around the ankle, which proves extremely useful as you cut and turn. The additional level of material offers a soft feel in the right areas when the boot rubs up along your ankle joint. Another interesting addition is the higher cut tongue that also offers a comfortable, if slightly unusual, fit in play. There is a flexible feel about the material used in the region and it runs smoothly up along the front of your foot. Then there is that unusually stiff SpeedTrack system. Intended to be the Spine of the boot, it is a little too firm when you first take them out of the boot and causes some lag as you break them in. It serves its intended purpose over time but as I experienced with the evoSPEED 1.2 you need a few wears to get it in sync with your movements. As you would expect considering the boots naming convention, these are all about speed! Weighing in at 7oz, they are not the lightest evoSPEED to hit the market (the original evoSPEED was 6.4oz), but they still rank among the lightest boots currently on the market. In general, the standard weight of boots has dropped but the average is above 8oz. 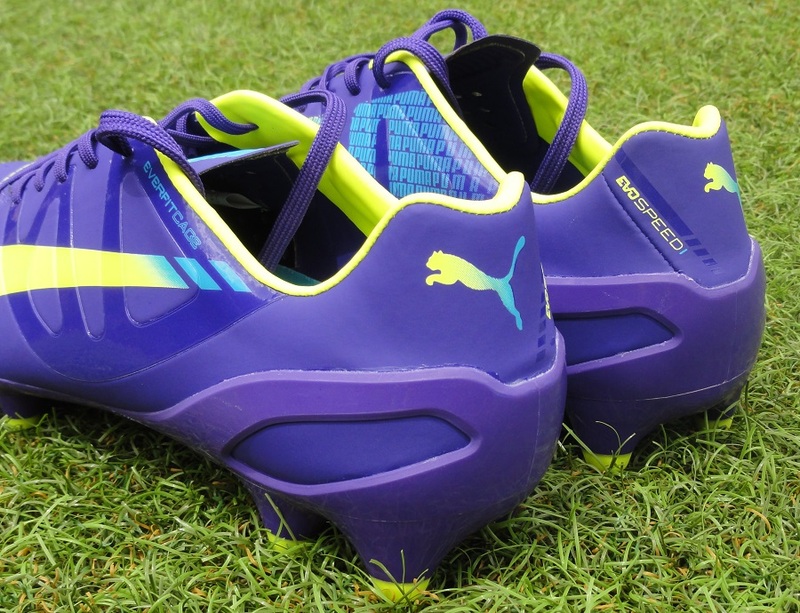 It is the use of a thin microfiber upper that allows Puma to keep these toned to a minimum. 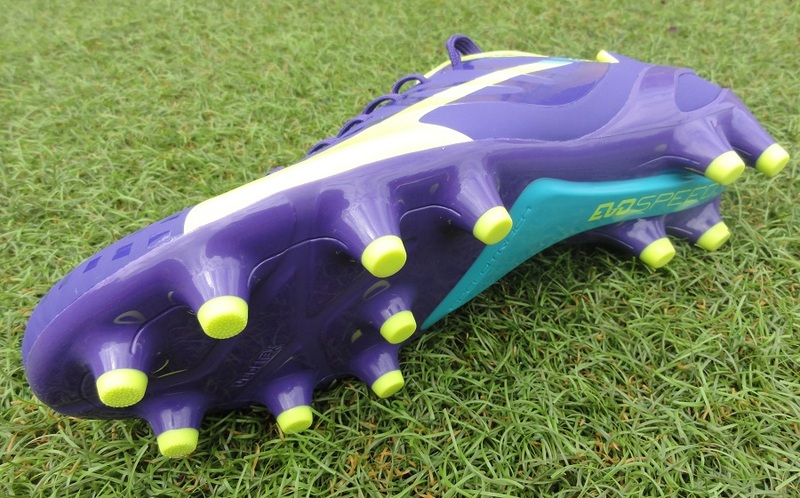 On this version of the boot, Puma use a new, thinner microfiber material through the upper. You would expect a next generation release to offer a more natural feel on the ball, with newer techniques in developing materials improving overall functionality. Yes, the material on these boots does feels thin but it also has an unusually stiff feel. It almost feels like a dried out leather, in a very negative way. Along the forefoot lip, where the upper meets the soleplate, the material has also bunched slightly through wear and it now holds a pretty bumpy feel. Through testing, it was an area that surprised and disappointed with its on ball reaction. The only plus is the fact it feels a lot more durable than previous evoSPEED releases and having experienced some hefty tackles the material has stayed well intact, pretty much undamaged. Across the forefoot, Puma use what looks like a textured print, and what you would expect to be an enhanced ball control addition. In reality, it doesn’t have any sort of grip feel and is essentially smooth and is literally there as a visual cue. 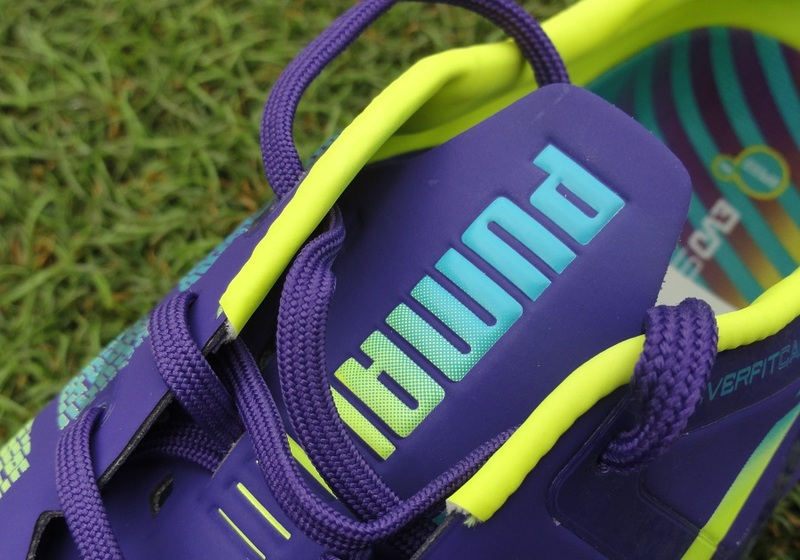 Where there is a useful ball control system is along the large PUMA hit on the inner side of the boot. Firstly, it adds a unique look compliments of the smaller puma test inside the larger PUMA hit. That smaller puma text has some definition to it and although it is not enough to be a revolutionary addition, it does add some light grip on the ball. Ultimately, an unusual addition but one that proves to be somewhat beneficial. One area of the evoSPEED that is of substantial interest is the soleplate and that SpeedTrack system. Basically, it is there to be the spine or backbone of the boot. Because it is a system we haven’t seen on many boots in the past, it takes a few wears to really get used to how it functions. During the break-in period, it removes any bend through the midfoot. 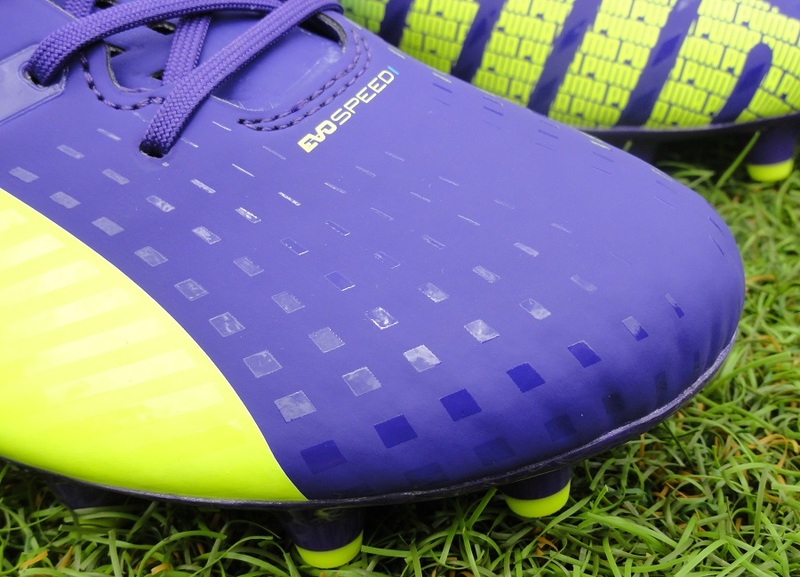 Its addition on the evoSPEED 1.2 was, in general, problematic and on these, it doesn’t prove to be much different. In reality, the SpeedTrack offers a uniform feel through wear and it does provide some extra rebound as you look to react quickly and sprint in another direction, but it takes time for it to adjust to your natural movements and that is worth noting as you familiarize yourself to the range. Overall, it might seem like all doom and gloom in the performance category and I’m sure to suffer the wrath of Puma for being so negative toward the boot. There is a lot about this boot that needs to be addressed, that is not in doubt. But there are also some positives and the overall performance does pass the general tests, including general traction on multiple surfaces. Conical studs, like the ones found on the evoSPEED 1.3, have the ability to penetrate and allow you to break from the surface smoothly. It proves through with these and that ensures they are an adequate speed option for those that need one. In an unusual twist, Puma has taken their support system, the EverFit Cage, and moved it from the inside of the boot to the outside. Yes, instead of sitting along the inner portion of the boot, it now sits visually on the external side of the upper. By visual, it is something you can see up close but thanks to its see-through nature, you don’t see it so much from afar. Its purpose is simple, to increase the general strength of the upper and ensure the lightweight nature of the boot is doubled with some much needed durability. Performance wise, you don’t notice a great deal between having it on the outer or inner side of the boot. Either way, it is useful if it extends the life of the boot and allow for a lighter final product without causing durability issues. I also like the fact that Puma use a see-through, rubber like system that blends in effectively with the general design without being overpowering. There is a tight fitting nature about the evoSPEED that really doesn’t change too much during wear. They fit pretty much true to size in length, but right across the forefoot, they are very, very snug. When it comes to width, they are going to fit a medium width the best and I’d actually place them in the “not to be worn” bracket for players who need a wide fit. My experience with them was as follows. I wore a size 9US, my regular size. Right from first wear they were extremely snug around the outer side of the boot, along my little toe, and I needed to loosen the laces right up. Through the first few wears, they caused some discomfort on my heel because of the tight feel. Over several wears, I avoided any blisters but never felt quite comfortable with the size. In a size 9.5US, I felt more comfortable although they did fit a little longer than I would have liked. In reality, I’m of the opinion that the evoSPEED series has taken a slight step backward with this release. 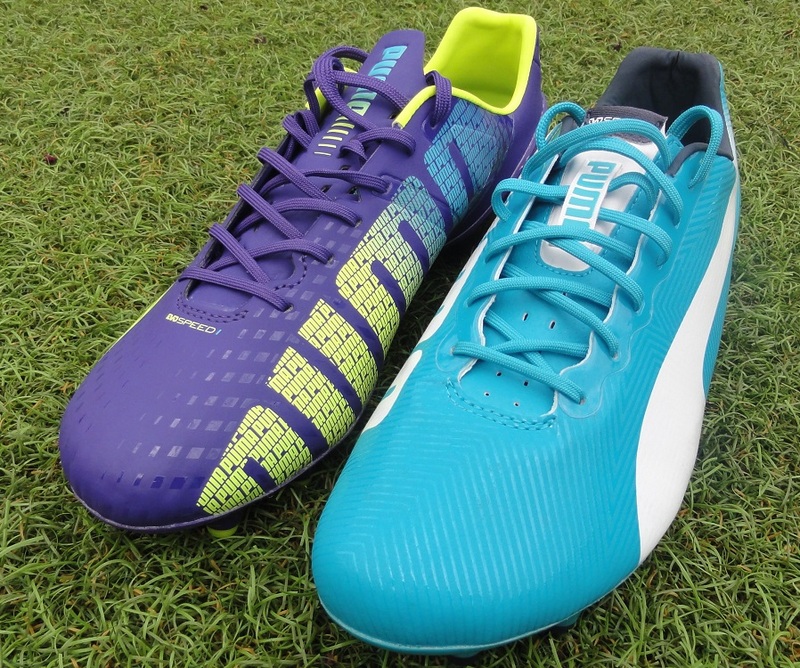 Rather than focusing on ensuring a natural touch on the ball and improving how the boot interacts with the ball, it seems Puma has taken an unwanted shortcut. Maybe it is related to the dramatic improvements the brand made with the evoPOWER and its rise to be one of the most popular boots currently on the market. Or maybe it is the list of players currently wearing and endorsing the range, increasing expectations. Whatever it is, there needs to be a readjusted focus on this release and serious improvements otherwise the range could easily fall by the wayside. This is not the worst boot on the market but it certainly isn’t the best evoSPEED we have seen to date! If you have read the review, you can easily fill in this section yourself. Initially when we unboxed them, there was so much potential and a definite positive vibe, yet this is unfortunately not a release that has lived up to our overall expectations. Again, for those in need of a pair, find the evoSPEED 1.3 listed at soccer.com. Highlight: A lightweight speed boot that fills in as the third release in the popular evoSPEED series. Weight: 7oz, one of the lighter boots currently on the market. Would I Buy Them: Not this version, I am afraid. On sale, they are a definite consideration but they just don’t have that killer edge that makes them a must have $180 boot. Player Position: Ideal for crafty players who like to use pace as a way to beat defenders. Wingers and pacey strikers can definitely benefit from their overall potential. I'm curious as to the leather ones as well. I have the first gen in leather and they're great and the toe box isn't as drastic as the synthetic. I also notice most of the pro's tend to like the leather version even though I"m sure their's are k-leather vs the calf skin they now use. Haven't got my hands on the leather ones yet – but they would definitely be worth testing as a comparison. agreed. 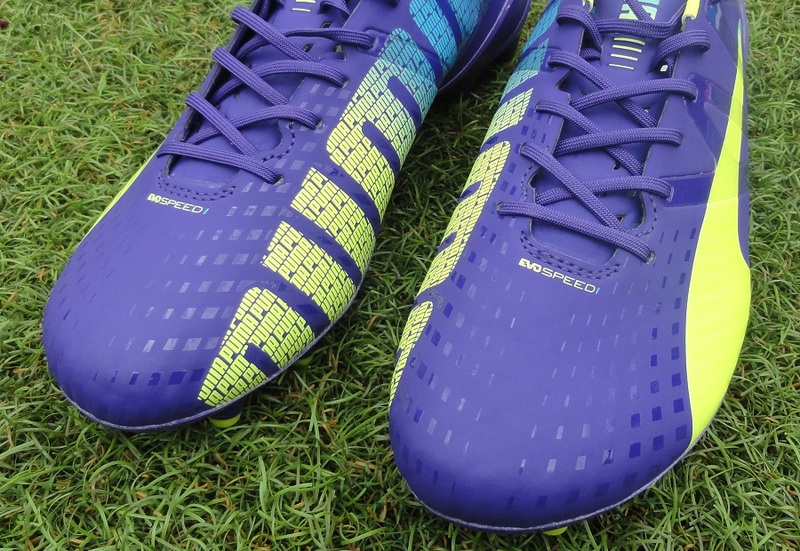 i actually like the very 1st evospeed release… it's downhill from 2nd and now the 3rd release. I'm actually quite surprised that this boot didn't at least stay on par with the last release in terms of performance. Because visually they look like they feature the same overall features and build. i am surprised as well. I expected this evoSPEED to perform better than the previous version but i am surprised that is is in fact rated at a lower rating than the 1.2. Either way, this is not going to be my next boot. I have always used this site as a selection platform and this has made me decide that the Predator Instinct to be my next boot, though i am currently wearing the adiZero F50 WC. You say that the upper is thinner than the previous model, but the wieght has increased to 8oz..where is the added weight? The weight has increased since the initial evoSPEED release – added in the SpeedTrack system, soleplate is heavier. I currently wear an Adidas Adipure 11Nova TRX FG in a size of 8 UK/9 US. I play as a centerbacks,Right backs that will join the attack when I have the chance. I also play as a holding midfield or a winger when my winger is injured. So, what would you think the right boot for me. I would like to buy the new evospeed from Puma but my friends recommend me the Adidas Predator Instinct. Which is the best boot for me? The Evospeed/Instinct or the Mercurial?? I had a slightly wider feet just about an inches wide. Just wondering about the "How do they fit?" section analysis…. My 14 year Old son usually as trouble with narrow boots, making it almost impossible to use most Nike models. 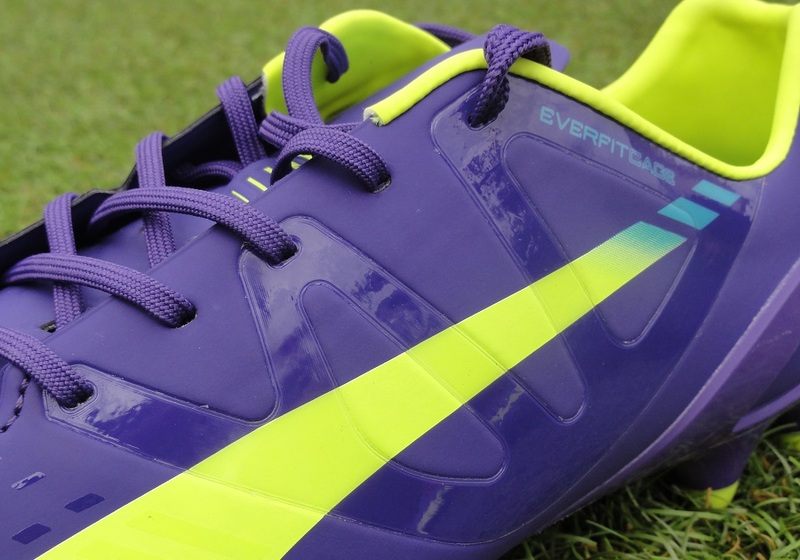 When fetching for a new pair of boots he tried the evospeed and found them to be perfect! Very confortable! and is using a pair since last month. So far, only good reactions from him, regarding confort and touch feeling with the ball. Maybe this as to do with how "tall" is your foot instead of with? tall? i think about 10"
footy-boots.com said that the evoSPEED 1.3 is a step up over the 1.2, and the upper, a teijin microfibre synthetic, is a step up, with the griptex a good replacement for the leather grain upper we saw on the 1.2. What is your opinion on that? their review is almost contrasting to yours, Bryan, even though i trust yours more. footy-boots do a great job with their reviews, so it is definitely interesting to see the contrasting takes. I personally didn't get much from the upper of the 1.3, they are a little too bland and lack the more natural feel and touch found on the 1.2.
picked these up for £30 at sports direct so for that money I think it's worth it.